Ginny Moon, a 14-year-old autistic child, is in her fourth forever home. She likes her new forever mom and forever dad. They are even having a baby but she needs to get back to Gloria, her mother. Ginny left her Baby Doll in a suitcase under the bed and she knows that Gloria is not taking care of her. Ginny always took care of Baby Doll. Ginny herself was abused badly by Gloria. She was underfed and hurt and she is worried the same will happen to her Baby Doll. No one understands why she keeps trying to run back to Gloria. She plans and plans, all the while trying to deal with all her emotions. Will she get back to her Baby Doll? I just loved Ginny. She is such a wonderfully written character with such depth. I loved how the author let us into her head and understand the ways she was figuring things out. The story plays out in Ginny’s voice. There is no other narrator and I loved how it took us through her struggles and her final realization. I do have to say that I did figure out pretty early on what the truth was but that in no way took away from reading the whole story. 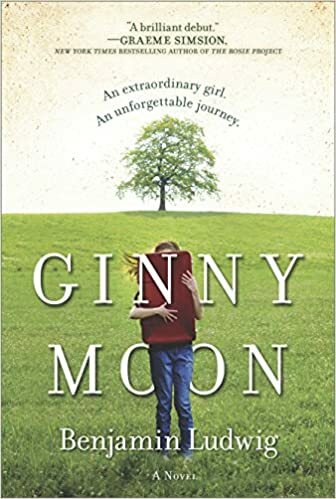 You will fall in love with the wonderful Ginny Moon. Thanks to Netgalley for my copy of this lovely book.